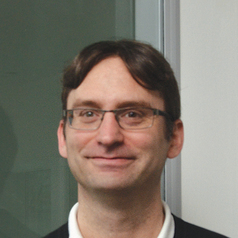 Ulrich Petersohn is a Senior Lecturer/ Associate Professor in International Politics at the University of Liverpool. He completed his Doctorate in Political Science at the Technical University of Darmstadt in 2008 and holds a Diploma (Master equivalent) in Social Science from the University of Mannheim. Prior to joining the University of Liverpool, he worked as a research fellow at the German Institute for Foreign and Security Policy (Berlin, Germany), and the Centre for International Relations (Queen's University, Kingston, Canada). Ulrich was also a postdoctoral fellow at the Weatherhead Center for International Affairs (Harvard University, Cambridge, USA), the RAND Corporation (Arlington, USA), Chatham House (London, UK), and a senior researcher at the Center for Security Studies, ETH Zurich (Switzerland). He has published two books "Selective Humanitarianism in the Age of Universal Human Rights" (in German), and “The Markets for Force” (co-editor), and is co-author of the RAND-study "Hired Guns: Views about Armed Contractors in Operation Iraqi Freedom". His work has appeared in high quality international journals, such as Journal of Conflict Resolution, International Interaction, European Journal of International Relations, Armed Forces and Society, and Cooperation & Conflict. His research specialises in the transformation of warfare, the commodification of force, commercial violent non-state actors, and normative change on the international level.